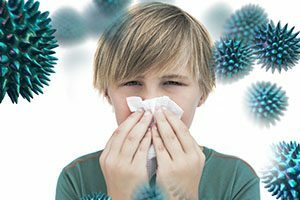 Studies have shown that RV’s have 1500 times more potentially harmful germs, viruses and bacteria than the average house-hold. Our FRESH START living spaces treatment will reduce the risk of potentially harmful germs, viruses, bacteria, mold and mildew for up to five years. Duratain’s skilled technicians will professionally treat not only common living spaces but also HVAC vent/ducts, mattresses and all the space in between. Q: Will my RV smell like chemicals after it is treated?No, Duratain’s FS-1 has no “off-gassing” and is undetectable to sight, smell and feel! Q: How long does it protect against potentially harmful germs and viruses?Duratain’s FS-1 is a long lasting antibacterial product which mirrors products developed for third world countries medical sterilization needs. It will last up to 5yrs and is re-treatable for the life of your contract. Q: Can’t regular sanitizers from the grocery store do the same thing?No, Duratain’s FS-1 is a commercial-grade, long lasting antibacterial treatment that is too strong to be sold in grocery stores. It’s for professional use only. Also it does not have he potentially harmful “off-gassing” from other aerosol spray disinfectants. Do you treat just the common areas in an RV?No, we professionally treat the entire interior including common surfaces, HVAC vents/ducts, mattresses and all the spaces in between.